Here we go! My birthday's this week and I'm celebrating it with LOADS OF STREAMING! The big show will take place on the day, Thursday the 7th, and I'll be running basically for as long as I'll be awake (with breaks for food and such, of course). 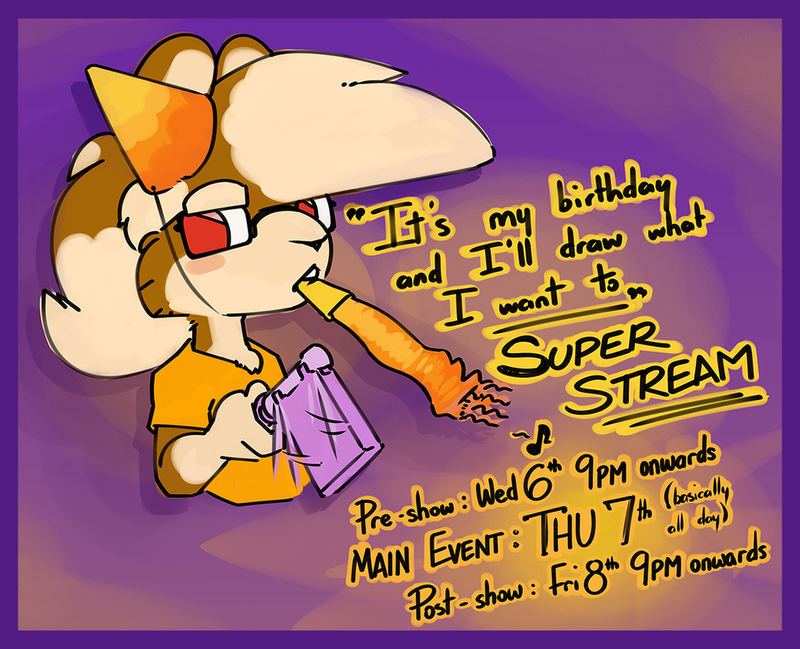 I'll also be running shows on my usual schedule tomorrow, Wednesday 6th, and Friday 8th as extra bonus shows. Important: Follow me on Twitter, Telegram and Picarto to get notified exactly when my shows begin!